In 1961, more than 1,500 US-trained mercenary troops landed at Giron beach as part of a scheme to overthrow the fledging Cuban government. Under the direct command of Commander-in-Chief Fidel Castro, the invasion was defeated on April 19 in under 72 hours. 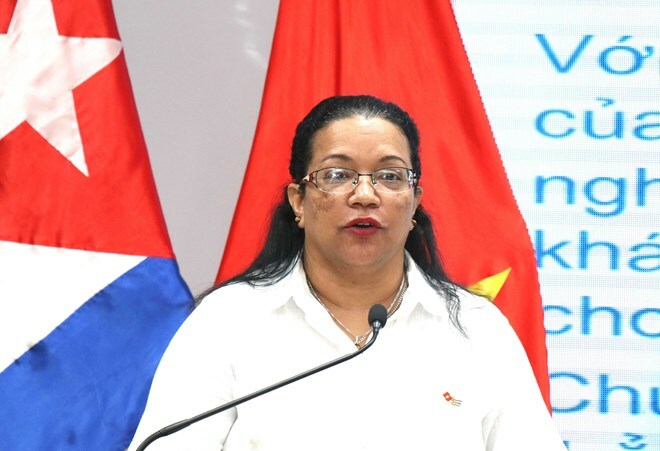 In her opening speech at the ceremony, the association’s Chairwoman Truong Thi Hien underlined the historical significance of the event, which helped Cuba advance forward in its journey of building socialism. She said Vietnam and Cuba have stood side-by-side through their most difficult periods, adding that their high-ranking party, government, and military leaders have engaged in regular exchange of visits to beef up the bilateral traditional solidarity and comprehensive cooperation. Hien affirmed that Vietnam supports Cuba’s socio-economic reform and stance on protecting its national sovereignty and territorial integrity. She said her association is proud of its collaboration with the Cuban Consulate General in the city to host various friendship activities. Cuban Consul General to Ho Chi Minh City Indira Lopez Arguelles said the celebration of the victory demonstrates the hope for bloodshed not to be repeated in Cuba or anywhere else in Latin America. It marked the start of socialism building in Cuba, the first of its kind in the Western Hemisphere, she added.